So, I’m going to sound a bit like a parent on this one. I’m not angry, I’m just disappointed in this book. Breaking Him was one of my top favorite reads of 2015, I loved it so much and I loved Scarlett and Dante so much. So maybe my expectations of this book were too high, but after the brilliance of the first one, I expected RK to deliver brilliance in the follow up and that didn’t happen. Breaking Her picks up kind of where we left off. A few days/weeks before I think timeline wise. The first 20% of this book, I was bored. Dante and Scarlett weren’t together much, past or present and they are what I was looking forward to the most. I will say the book did pick up after the first 20-25% and got better from there. What I did like was R.K.’s writing style, she has a beautiful way with words, that’s never going to change. There were also some great moments from the past perspective that were little touches of magic interspersed throughout the book. I liked we got to see more of their past relationship and how special it was. Of the book as a whole, I enjoyed about half of it altogether and wasn’t in love with the other half. My heart broke for Scarlett in a lot of this book, there was a point at which I started to feel sooooooooo bad for her, wanting it to stop. She’s an admirable character and I loved her, she’s my favorite part of this duet. Strong female characters need to be more present in the romance genre, and no one writes them better than Lilley. And I will say one more thing, and please note this did not affect my rating at all but it needed to be said. If I am going to pay for a book, I don’t want to see spelling and grammatical errors in it. And especially since this book was a bit more expensive than others. Errors take me out of the reading experience and instead of enjoying it, I am distracted by what’s wrong. Again this doesn’t affect my rating, that was all based on the content of the book. Claire Contreras is one of my favorite authors, really she is. 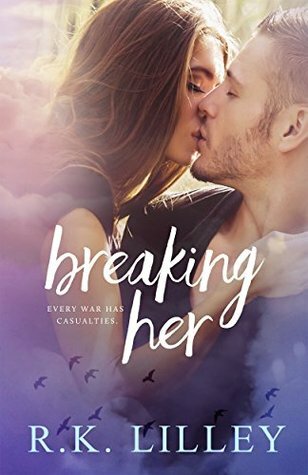 Two of her books are my all-time favorite reads, and I will read anything she writes because I know she will deliver a unique love story that will stand out amongst the sea of generic romance books out there. 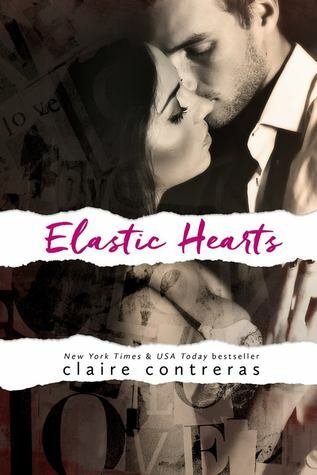 That being said, Elastic Hearts wasn’t the book for me. 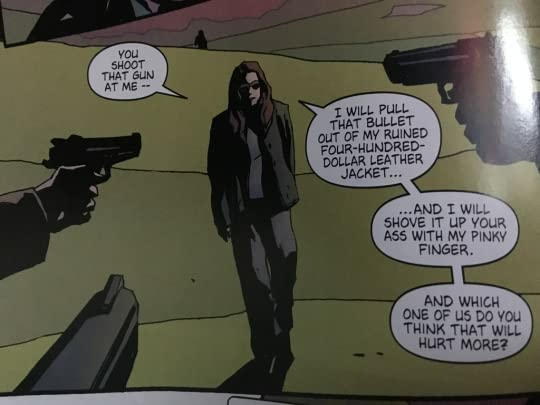 I didn’t really feel the connection between Nicole and Victor and I got a little bit sick of the constant will we or won’t we between them. The biggest issue for me though, was I was bored the entire time I read the book. It took me 4 days to read it, and I am someone who can pretty much read a book a day. It didn’t capture my interest. Just because I didn’t like it doesn’t mean other people won’t love it. Obviously I am in the minority on this one. I think this love story is something many people would enjoy and love, again it just wasn’t for me. Where do I even start? Well obviously from my rating I absolutely loved this book. When I saw the blurb I was intrigued and immediately requested the arc. Plus Elle Kennedy is a co-author and she has NEVER let me down. I’ve loved everything I’ve read by her so far. 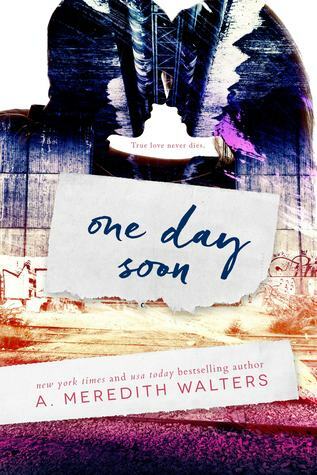 I’m a bit new to Erin Watt (Jen Frederick) and haven’t read any of her books, but I’ll be sure to remedy that very soon. 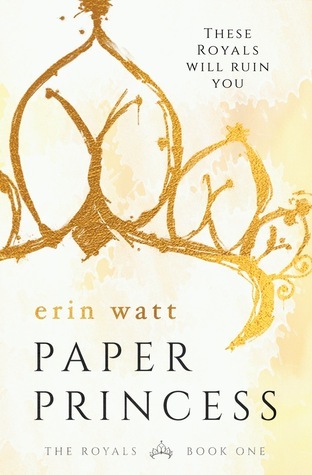 Paper Princess is about a teenage girl named Ella, who after the passing of her mother has been living on her own. Deceiving her high school and working multiple jobs her only goal is to get a diploma so she can continue on to college. One day a man appears at her school, claiming to be a friend of her recently deceased father (a man she never knew) and saying he is now her legal guardian. Ella is grudgingly taken to Callum Royal’s home where she is to live. Callum makes a deal with her that she cannot refuse and a part of the agreement was for her to stay in his home with his five sons. Five sons who are not at all happy to see Ella. From rags to riches Ella does her best to catch her bearings and adjust to an entirely new life. But despite wanting to remain overlooked she is constantly hurdled into the attentions of her peers, and she can either take it, or fight back. When I say I loved this book, it is an understatement. This is a book you stay up until 3am to finish and end up feeling tired but happy the next day because it was so worth it. There was not one moment when I was bored or wanted to skim, I was completely absorbed in it until the very end. I loved being in Ella’s head and sharing her experiences with her. She’s a strong female character who doesn’t need or want saving, but in this book she realizes it doesn’t hurt to accept help from others. Ella also recognizes the value in hard work and doesn’t shirk away from jobs that others see as below themselves. She doesn’t apologize for who she is either. I found her to be a very admirable character, refreshing from all of the weak heroines we see flooding the genre. All of the Royal boys have me intrigued, I really hope that some get their own book (like Easton and the twins). There’s so much going on and I would have loved the perspective of some of them while reading. Now Ella and Reed: my goodness someone get me a fan because their chemistry was off the charts!!!! Anyway if you didn’t get it by now I loved this book. This book has a very Tijan feel to it, and those who loved the Fallen Crest series will love this story. Warning! 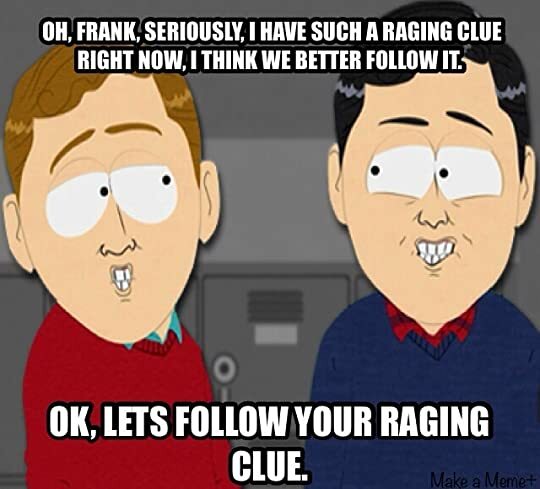 There is a very large cliffhanger at the end that I may need to join a support group to get over. But, I still think you should read this book despite the cliffhanger because I think it’s totally worth it. And I do want to clarify, while this book is about high school students/young adults, it is not a young adult book due to language and adult content. So don’t be handing it to a sixteen year old to read. Save it for when they hit college and hand it to them then. 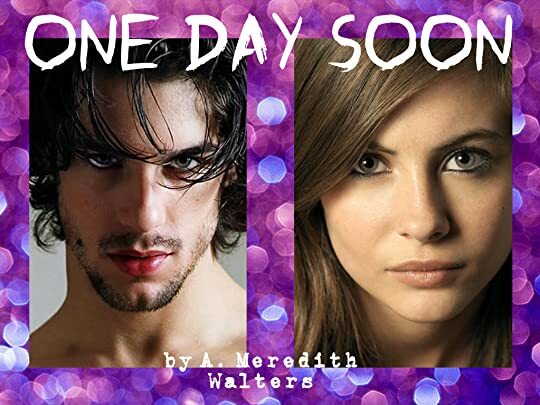 One Day Soon is the story of Imi and Yoss. When they were teens they loved each other fiercely and would have done anything for the other. Yoss was Imi’s protector as well as her everything. Imi was a bright light in Yoss’s horrible life. But not all young love stories work out and the two were separated for fifteen years. Imi and Yoss are reunited as adults in their early thirties a horrible incident and coincidence. Despite their mutual hurt, there is still a connection between them and a strong desire to spend time together. But decisions from the past haunt their present, and the two must fight against impossible odds to stay together. I have been recommended books by this author by many friends, but haven’t read them yet (my bad, I will be changing this soon!). I loved Walter’s writing style, I couldn’t put the book down, even when confronted with difficult subject matter. 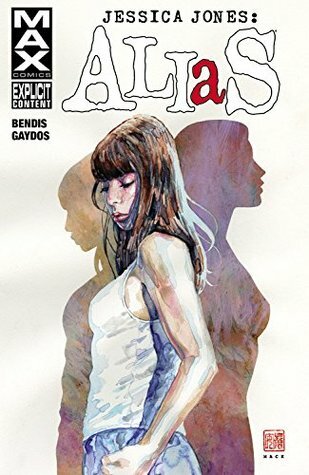 I also loved that this was a unique love story in terms of plot, I haven’t read any others like it and it was refreshing to read something different from the generic romance or new adult novel. I ended up staying up really late just to finish reading this book because I had to know what happened! There were also some possible tears. Maybe. (Okay yeah I cried a little bit). Can I also just say I have so much cover love for this book? It’s gorgeous! I found it a little bit hard to understand Imi and her choices. I found her reasons for homelessness were not enough. Her mom ignored her, but at least she wasn’t beating her like other characters. I felt the ending was rushed. The fairy tale way it ended was nice, but I felt there were still unresolved issues between the two main characters: such as Yoss wanting to support himself and not mooch off of Imi. He was so adamant about it before, yet 3 years later everything is okay? Basically there were still some blanks I felt needed to be filled in. And I almost never note this, but because my copy was a purchased one and not an ARC I will. There were several editing mistakes that really irked me, because they took me out of the story while I was reading it. It disrupted the flow of the novel for me, and I really hope they get fixed. (This did not affect my rating in any way). Whelp it’s safe to say mystery/suspense really ain’t my genre. 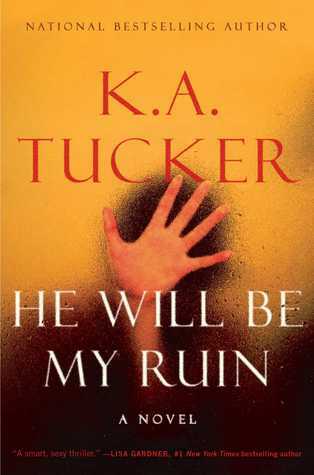 And in fact I remember being pissed I got denied on the arc for this book (which now I see as a blessing in disguise) because I actually do love KA Tucker. One of her book covers is on my phone! If that’s not author love I don’t know what is. But it looks like I love her contemporary romance books and not her mystery ones. Anyways, He Will Be My Ruin is the story of Maggie, a wealthy girl who works for nonprofits. When she receives news that her best friend has died, she travels to NYC to go through her things and clear up the estate. While doing this, Maggie becomes more and more convinced her friend was murdered, and she begins investigating her friends final months. Plus the more we found out about Celine’s secret life the more ridiculous it became. I had a hard time believing a lot of it. The ending was extremely unsatisfying and disappointing. I feel the author could have done a lot better with tying every thing up as it felt very rushed after hundreds of pages of build up. But then again most mystery novels are like that and it’s probably why I don’t care for them. 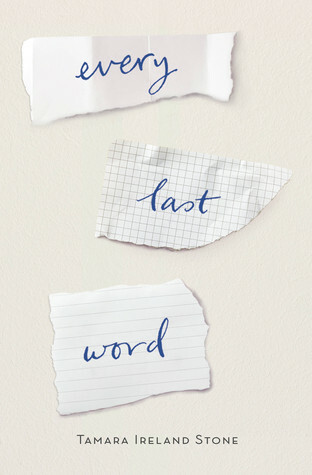 Every Last Word is the story of Sam, a teenage girl with a debilitating case of OCD. Not the kind like you and I think, where it’s like people keeping things nice and neat, but one that messes with her sense of reality. One of the popular girls at school, she is forever in fear of her group of friends finding out her secret and ridiculing her for it. One day she discovers a new group of people at school she never really noticed before. With some encouragement from a new friend, Sam makes an effort to join this new group who loves poetry and expression. But her past and her friends make it difficult for this new group of people to trust her, and she must prove her worth to them. I liked this book a lot more than I thought I would. This is an author I’ve always been meaning to read, she has another series that looks good but I never got around to it. I love reading stories where the main character becomes disillusioned with their current life style and looks to other ways of spending their time. It’s one of the better ways of promoting character development in a story (and we all know I must have my character development!) so I really enjoyed this book. I liked the romance aspect because I wasn’t really expecting it. AJ was a little bit too good to be true and I thought he forgave Sam for her past a little bit too quickly, but ultimately it worked for the book as a whole. I did guess the “surprise” fairly early on, but I loved that part of the story. It’s amazing what the human mind can do and a great added twist to the plot. I also liked the use of words and how they helped Sam get through rough spots. Her OCD was based on words and thoughts, and by joining the poetry group she learned a way to manage and control them in a healthy way.